PROWLING the Armidale Mall in search of lunch, I notice a Japanese food place, Ten Koo, and go inside. As I dab soy sauce, wasabi and ginger on my salmon sushi, I fall into conversation with Ken Scott, a wiry-looking horseman from Uralla sitting at the next table. Ken says his wife is from Japan, and then surprises me by adding that he and Hiroko are one of about twenty Japanese families in the local area who meet up regularly for social events and belong to a group called the Armidale Japanese Association. Those with young children have even organised a Saturday afternoon language school to encourage their kids to practice speaking, reading and writing Japanese, Ken tells me. Intrigued by this information, I decide to ask a few members of the Japanese community in Armidale some questions about their lives. 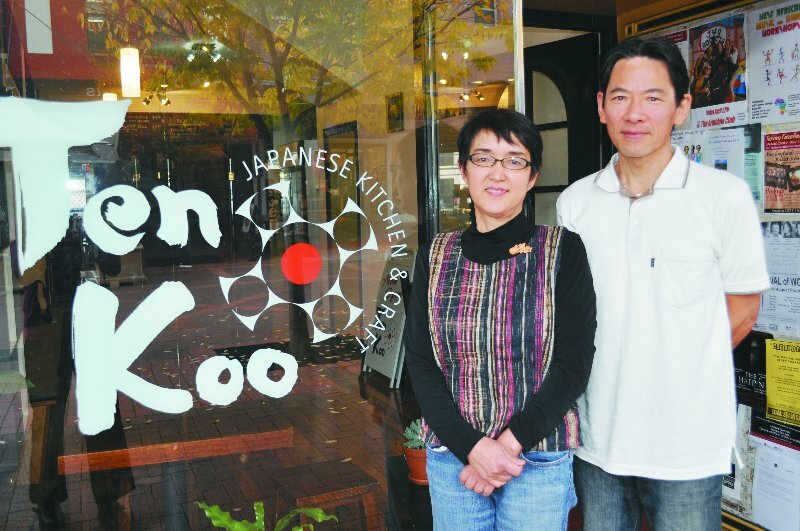 Ten Koo, Armidale’s first Japanese café, belongs to well-known ceramic artists Kiyo and Kumi Hashimoto, who have lived here since 1991. Despite operating a catering business from home for many years, supplying sushi to the Markets in the Mall, Food for Thought, Knight’s Store, SportUNE and other places, they are finding the early days of running a popular retail outlet very demanding. For now, it is subsuming their other great passion, which is, of course, ceramics. Kiyo and Kumi both trained as traditional Japanese potters in Tokyo and had their own ceramics studio in Japan for more than a decade before deciding, in their late 30s, to emigrate to Australia with their two young daughters. Their friends were astounded: why would they want to abandon their successful lives in Japan? To get permanent residency the family needed a sponsor, and the reason Kiyo, Kumi, Kyoko and Momoko ended up in New England was because a potter from Uralla answered their advertisement. By sheer coincidence, they flew into Armidale airport on the same plane as the mother and daughter from the only other fully Japanese family living here at the time – the Fujimoris. Kiyo and Kumie Fujimori (the names were another coincidence) moved to Armidale almost forty years ago. Kiyo taught Chemistry at the University of New England from 1974 until 2010, and Kumie started the Japanese language class at the New England Girls’ School in 1977, and in 1991 she established UNE’s Japanese department. Their daughter Kana, born in 1986, was the first Japanese baby to be born in Armidale Hospital. Unsurprisingly, given that it is the town’s largest employer, with an international reach for its staff and students, most of the Japanese families in Armidale have a connection to UNE. 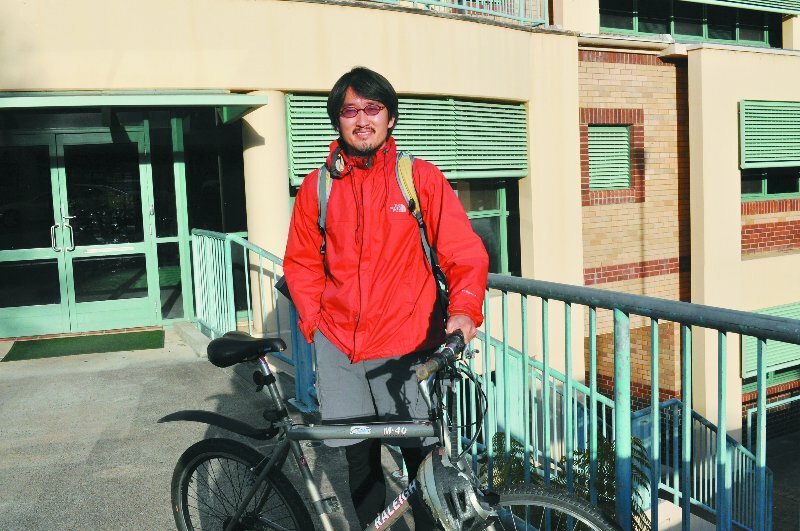 Dr Keita Takayama, a senior lecturer in the sociology of education, came here four years ago to take up his first academic appointment. He and his wife Mayumi, who works part-time at the Ten Koo sushi shop, have daughters aged seven, five and three. Like many of the Japanese families in Armidale, Keita and Mayumi are trying to encourage their children to be bilingual, but are not finding it easy. The difficulties are compounded when only one of the parents speaks Japanese, which is the case in about three-quarters of the local families. Keita knows of several Japanese-born mothers married to Australian men who go back to Japan every year with their children, enrolling them in school for two or three months to immerse them in the language. Paleoanthropology professor Peter Brown and his wife Tomoko are one local couple who ensure their children spend extended periods of time in Japan in order to keep their language skills and their connections to family strong. “They have no other relatives in Australia and their Japanese grandparents speak only limited English. It’s important that they can communicate,” Peter says. Keita, who has both a professional and a personal interest in bilingualism, thinks it is a great pity when parents and children raised in different cultures end up linguistically estranged because they are not fluent in the same language. Despite having an excellent command of English himself, he says there are subtleties of emotional expression he could only communicate to his children using Japanese. It was concern about the language issue that prompted the community to initiate Japanese classes for the children more than a year ago. They’ve called it Terakoya, after the temple schools run by monks that created widespread literacy among Japanese commoners in the 1800s. When I visit the Japanese language school on a Saturday afternoon, the children are doing craft activities. One of the mothers, Kazumi Knight, explains that this day is traditionally celebrated as the Boys’ Festival in Japan, so they have been making samurai helmets and flags in the shape of Koi-Nobori, a fish that symbolises courage and determination because it can fight its way upstream. The flags are designed to fill with wind when hoisted high on a bamboo pole outside houses, so the carp look like they are swimming over the rooftops. 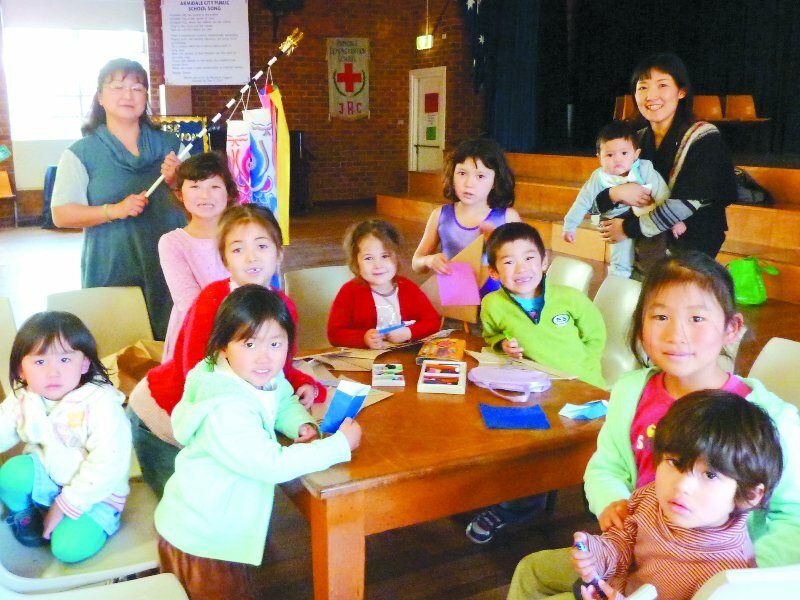 The Armidale Japanese Association was initially formed to support the relief effort after the devastating earthquake and tsunami that struck north-east Japan in March 2011. Keita, who is the president, says the AJA exists to provide a supportive network and also to formalise the group as a cultural resource for the wider Armidale community.